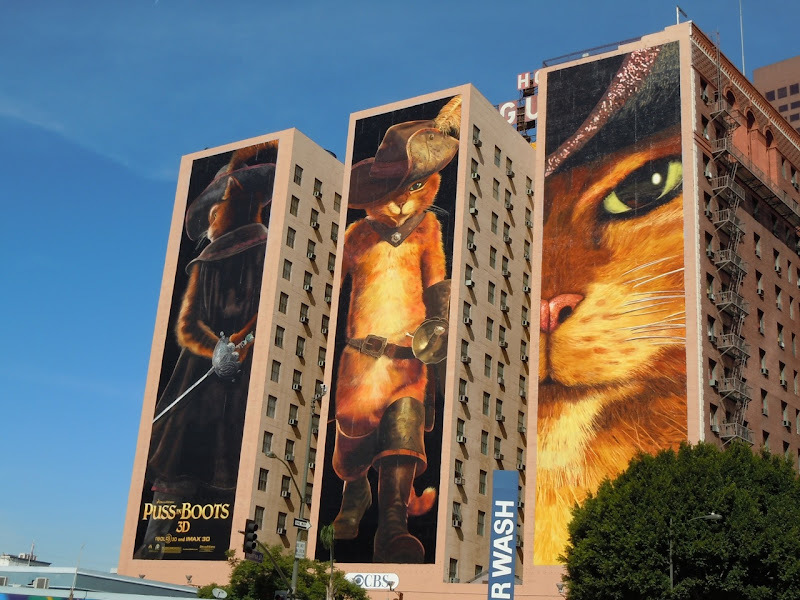 The 'cat in the hat' is back. 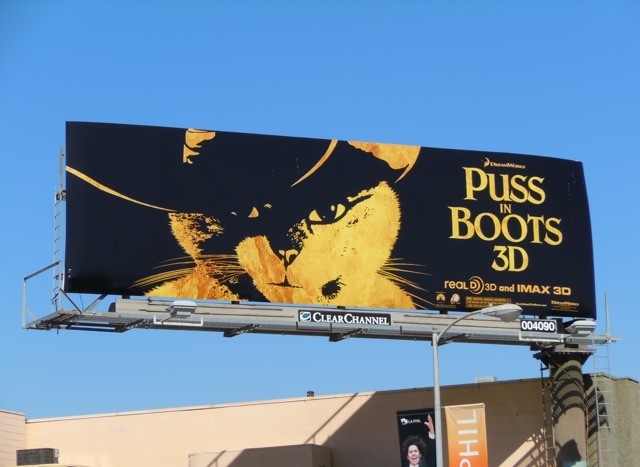 No, not that one, but DreamWorks 'Puss in Boots'. 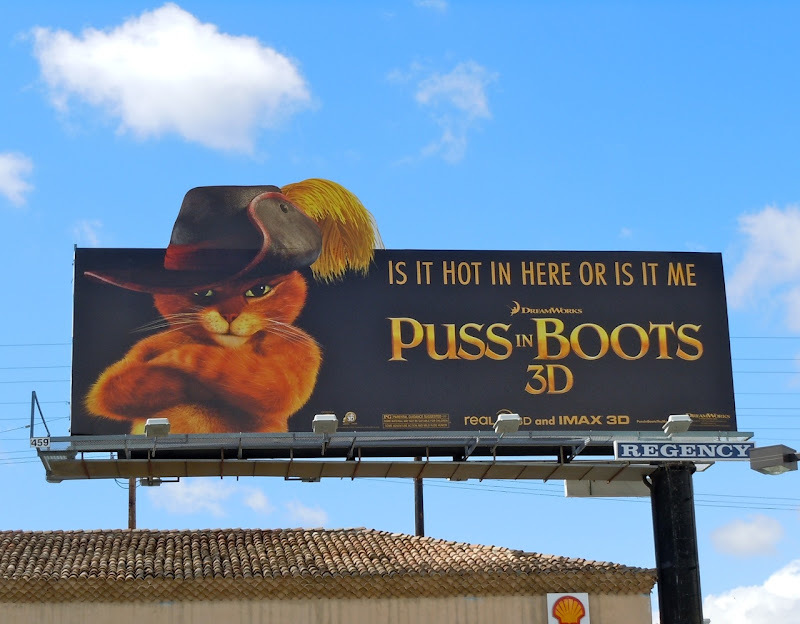 Introduced in Shrek 2, the Antonio Banderas voiced fairytale feline was re-imagined as an amorous assassin and an accomplished swords fighter. 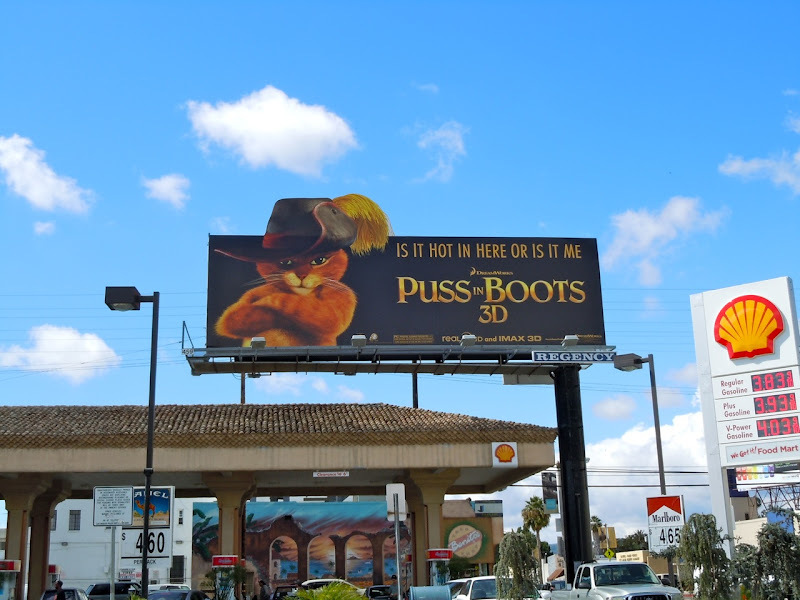 His popularity is evident, whether giving those cute kitten eyes or sweeping a damsel of her feet with his lothario ways, as after four Shrek big screen movies he's secured his own spin-off film. 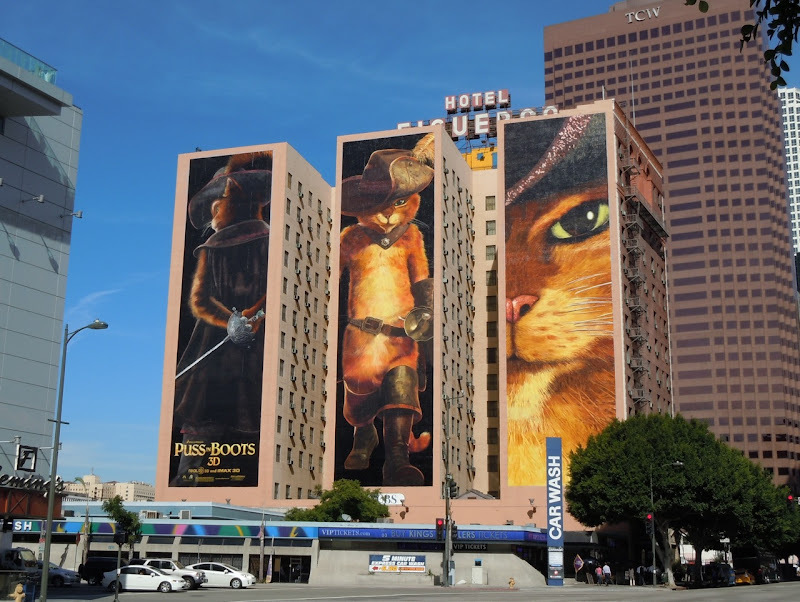 Only time will tell if he'll be a box-office smash, but he does look very much the star in these fun and almost iconic billboards, which should entice animation fans and cat lovers everywhere. 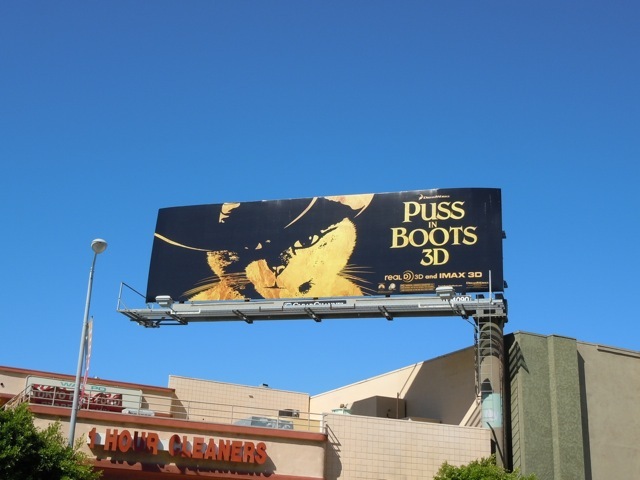 The billboard which has the feathered hat special extension was snapped on the corner of Fairfax Avenue and Beverly Boulevard on October 4, whilst the other stylised black and orange version was photographed along Santa Monica Boulevard on October 8, 2011. 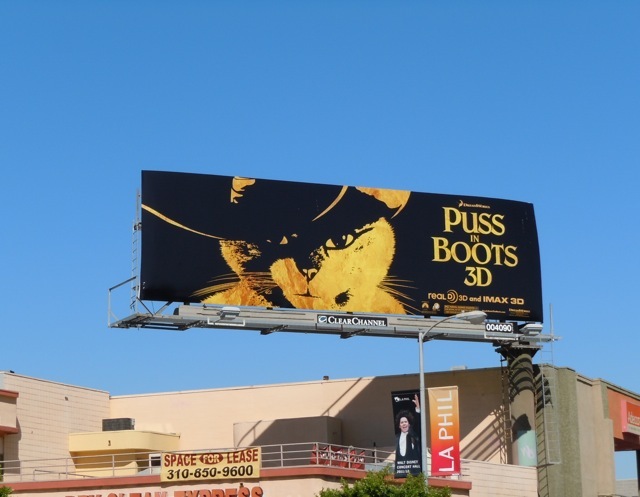 UPDATED: Daily Billboard also spied these fantastic super-sized Puss in Boots billboards in Downtown L.A., at Olympic Boulevard and Figueroa Street, on October 28, 2011. What a cool looking cat he is in his cape and hat.